This trendy bag comes in a rectangular shape giving the entire look quite an edgy finish. 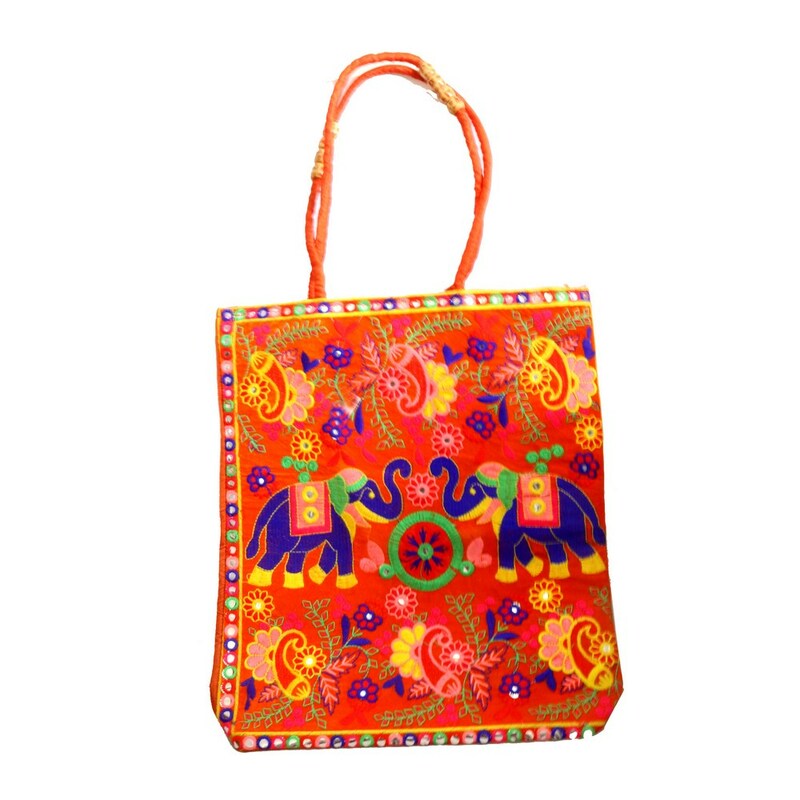 With an amalgamation of bright orange and blue colours, Read More..the simple bag receives a very elegant touch. The two bright coloured elephant helps to make this product trendy yet traditional looking. Show Less..